So, has anyone been following his career? He played a couple of seasons of college in Tennesse...does anyone who follows college tennis have any thoughts? He doesn't have many points to defend going into 2014 so I'm hoping he can keep racking them up and maybe break the top 100 by mid-season. Jump on the bandwagon with me! Oh and what about that name? There's no way he won't make it to number one with a name like that. Brad Gilbert will go crazy trying to think of a nickname. I'm not one for bold predictions, but I think he just might be. Some might say he's already too old at 22, but I think he has plenty of time on his side. I believe he beat The Donald this year, too, so really the sky is the limit for Tennys. He is from Tennessee just like me. I have to start following this guy and plus he has a really cool name as well. Isn't Champaign his first challenger title? I'll wait until he shows exceptional progress in the larger-scale tournaments. This usually happens to a lot of players. They get over-hyped, and they falter. Examples? Take Sloane Stephens and all of the American players (except John Isner because he beat Novak Djokovic regardless of strategics). Come on...the dude's already 22, gonna be 23 in July next year. 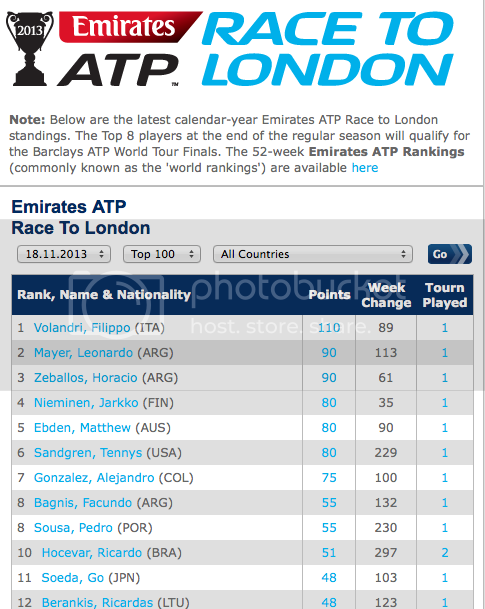 Janowicz, Dimitrov, Tomic and crew are exactly the same age and people here claim these guys are overhyped. According to TW, you have to win a major title before you are 25 years old (Federer won his first Wimbledon title at at 22). Haven't you read the forums in the past 6 weeks? There were threads comparing Dimitrov to Federer.. However, they aren't exposed as much as the the other top players in the media. Remember, TW isn't a major source to the tennis world. I do think these guys should be presented in some kind of way. Maybe have the tennis channel and other sports networks broadcast "Player of the Week" and interviews with the lower ranked players. apart from that..yeah I love a good bandwagon to jump on, it saves walking if nothing else. Ha! Some of those kids are lucky they didn't get a punch. I'm sure it's par for the course at the Challenger level, but they were doing such a bad job. Some of them looked to be in Kindergarten and had no idea what was going on. I think this bandwagon's next stop is Atlanta next month for the determination of the U.S. Wild Card for the Australian Open. I like how often he comes to the net to finish off the point. He's got a lot of power and wins a lot of points from the baseline, but it's always nice to see a guy who isn't afraid of the net. He plays a lot of doubles too so it makes sense. A tennis player called Tennys from Tennissee is obviously the next Laver. I saw him in the challenger you are talking about as I was betting on some matches and his play is nothing special. It is very similar to the standard american tennis with the forehand being dominant as his back was very weak and he could not generate much pace but when it came to his forehand he would go big and get a lot of joy. Yeah, you've got to take what you can get when you're trying to get excited about American tennis. I've always pretty much ignored American tennis, but I'm giving myself a personal challenge to keep a closer eye on it and try to get more excited about in 2014. 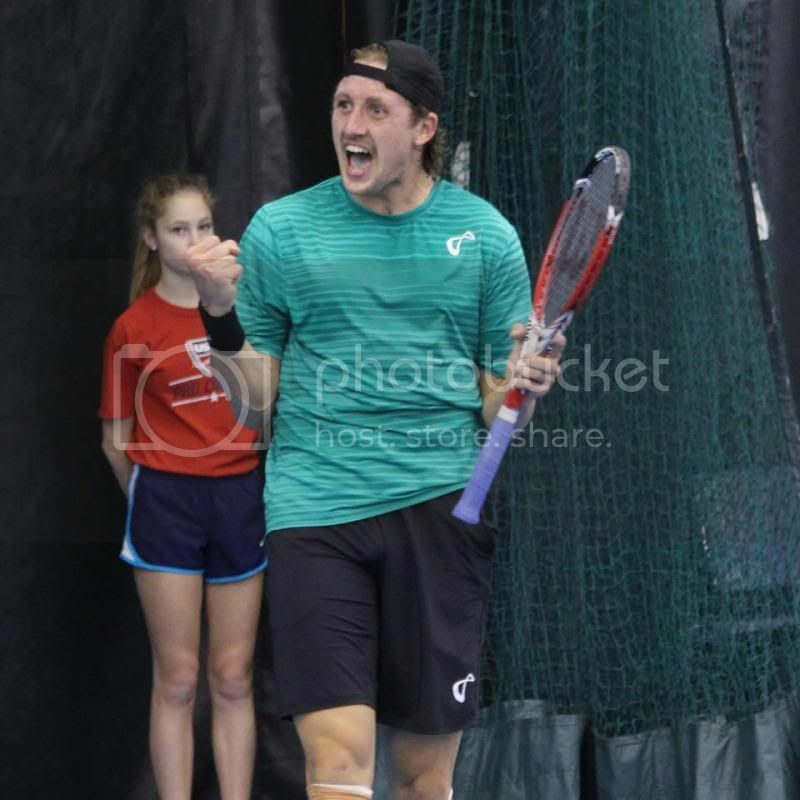 Sharing this link to a nice write-up of the Champaign Challenger here as well as the tournament thread: http://www.changeovertennis.com/last-american-challenger-wide-open-field/. It's long but a good read. As for Tennys, he looks decent though nothing special imo. He looks like he could work on his conditioning a bit more though, so who knows how far he may make it...! 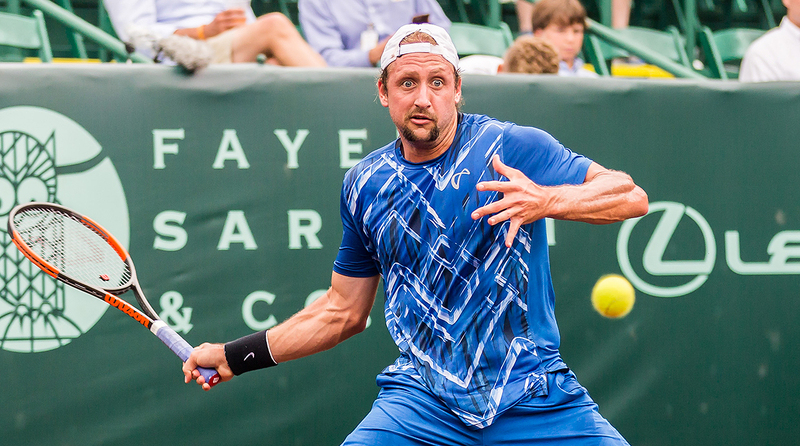 Sandgren fell to Escobedo in the 1R of Houston. Currently playing in Saratosa and won against Opelka in three sets. It’s impossible to say no pun intended with this guy. BTW, how in Earth did he get that name? He got his name because it is his density. (*): I am calling him this guy on purpose, I am tired of puns. Likes: yokied, Raindogs and vive le beau jeu ! Ten is Tennys’ number of tennis matches he already won? OK, I could not help it. This current face of Tennys is somewhat weird. His name seems to rhyme with something. Does Tennys come from a ten-niece family? We do not allow you to call him Sandgren. Please comply with the unwritten rules! No, the other word first vowel is pronounced differently. We do not allow you to call him Sangren. Please comply with the unwritten rules! Denny's? I don't think so. Can you clarify what you are talking about? And just like me,Tennys is also originally from greater Nashville and went to the University of Tennessee. I have to cheer for a fellow Volunteer. Into the 4R of A.O.! It'd be so awesome if he beats Thiem. Interesting video posted by the ATP on the last American guy standing at this year's Australian Open (he speaks a little too fast and indistinctly for my liking but maybe that's because I'm a Brit). He's having quite a run at the OZ, I can only imagine how ecstatic he feels with his results. An amazing run and payday for the fellow thus far. However, the destroying he's getting on twitter will seem tame in retrosepect to the beating The Professor is going to lay down on him. Pretty sad, I was pulling for him and he seemed like a good guy in his interviews. Agreed. I wish I hadn't learned this about him. Very good player, too bad he is the person he is.